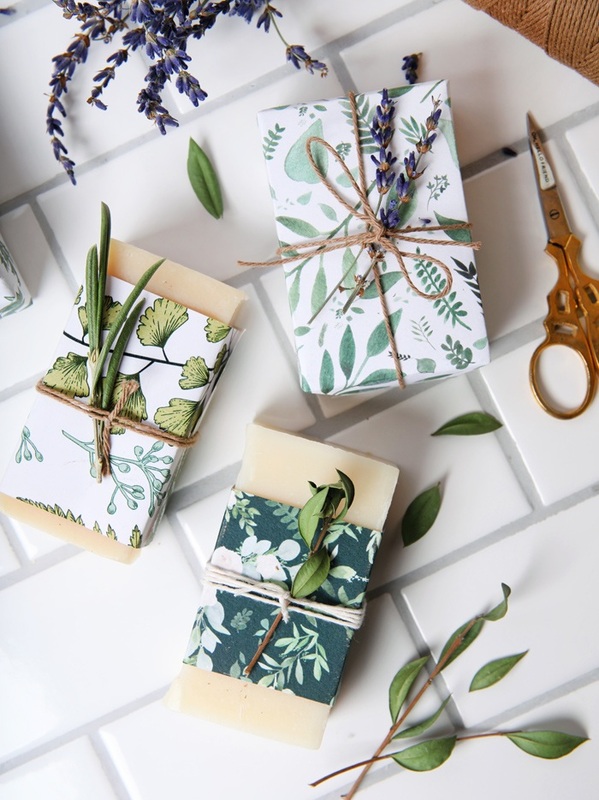 If you're giving your handmade bath and beauty products, you know packaging can be just as important as the gift itself. But don't panic - packaging doesn't have to be complicated. One of the easiest ways to dress it up is with patterned paper. Use it as a band around a jar or box, or wrap your bar of soap. 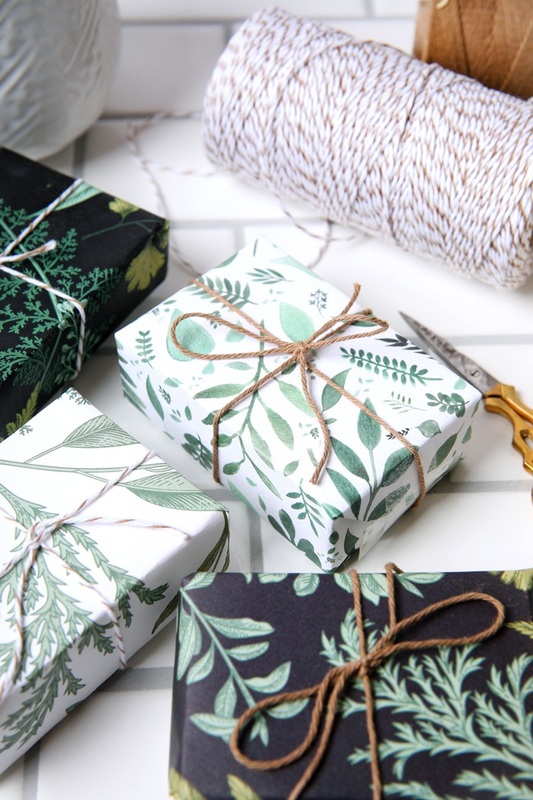 We designed the Botanical Garden Soap Wrap with gift giving in mind. The set has 4 pieces of heavyweight textured paper with various botanical-inspired patterns. They are the perfect finishing touch for sping projects and beyond. 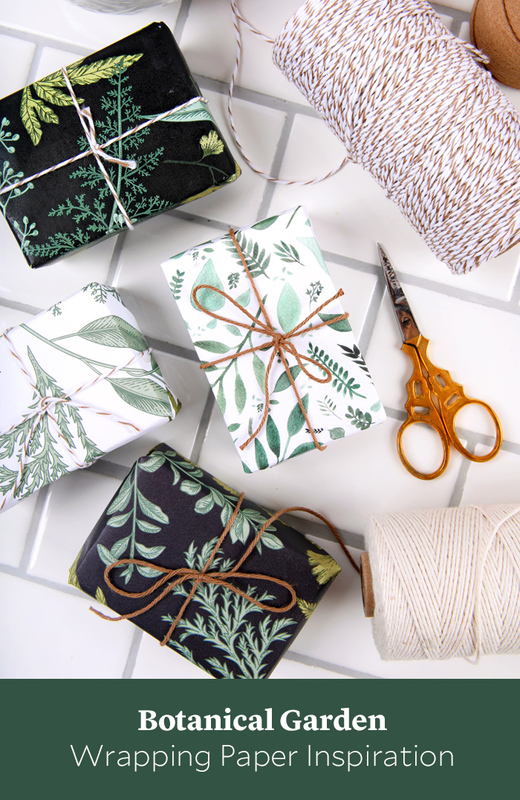 Below are a few ideas to get your creative juices flowing for wrapping your next handmade gift. We love using the paper to completely wrap our bars. This works best for soap that doesn't have a textured top because you can get a clean and even wrap. If the bars have toppings like dried flowers or salt, be very gentle when wrapping them - you don't want to damage your toppings. We used clear tape to secure the wrap, and finished each bar with decorative string. 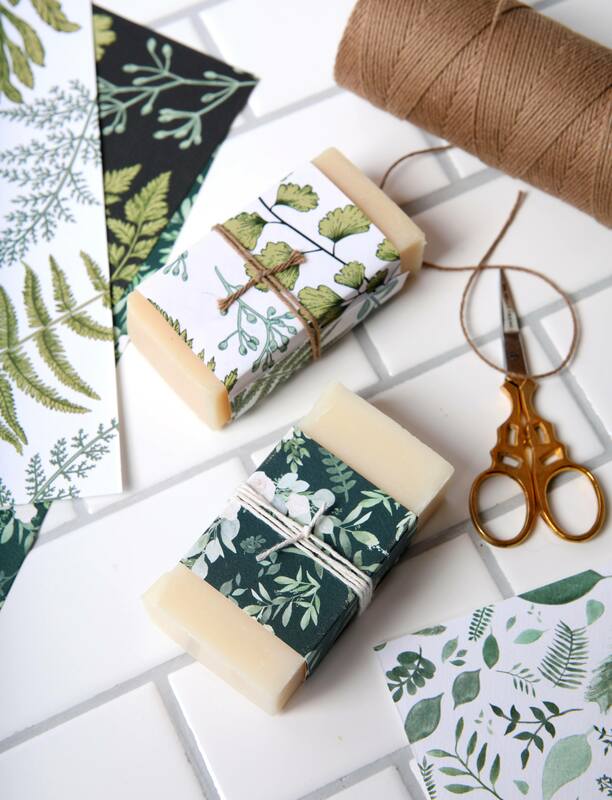 If you want your soap to peek through, cut strips of the wrap and use them to create a band. This is a great style for smaller rectangular shapes. Because the wrap already has plenty of color and pattern, we used it to wrap simple, uncolored bars. Wrapping ribbon or twine around it also works well. Want a little more pizzazz? Tuck fresh or dried botanicals into your soap ribbon. Above, we used twigs of dried lavender, myrtle leaves, and olive leaves. This style may not work well if you're shipping your gifts, but if they don't need to travel far it's quite beautiful and elegant. Of course, you can use decorative papers for other projects as well. 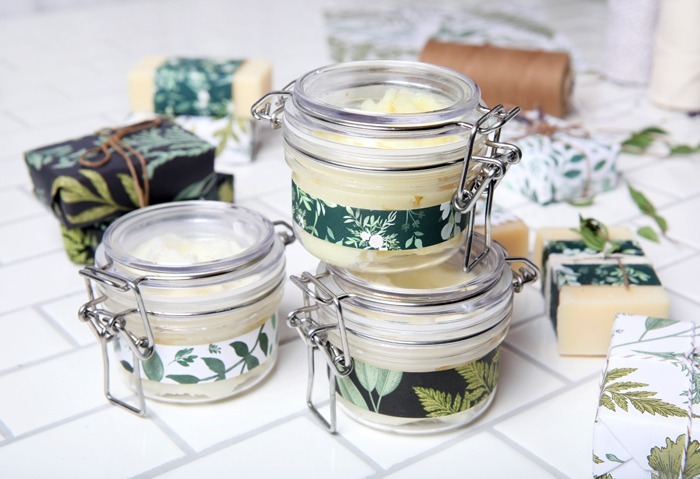 Cut the Botanical Garden Soap Wrap into small strips and apply them to bail jars, boxes, or bottles (find packaging options here). We secured our bands with double-sided tape to create a more uniform band. Share all the ways the new Botanical Garden Collection has inspired you with #BotanicalGardenBB - we love to see what you create!